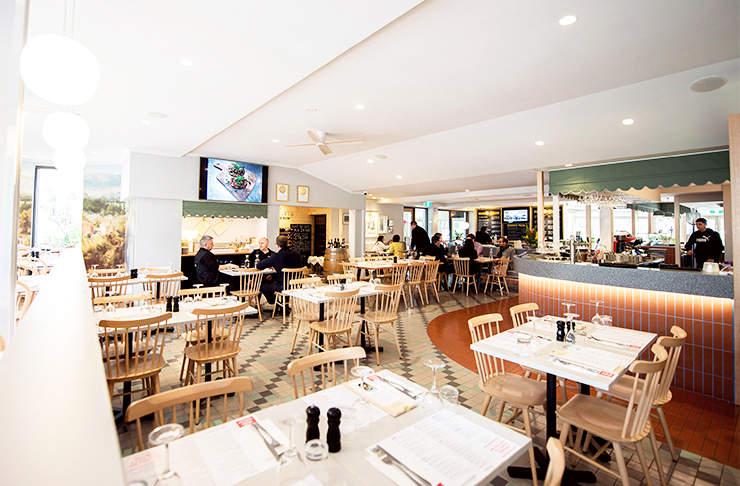 If there's one thing we'll never get sick of, it's finding a good authentic Italian restaurant in Perth, and we've done just that with our recent visit to Bistro Bellavista in East Perth. This charming bistro takes Italian deliciousness to a whole new level. The restaurant was recently refurbished but don’t let the contemporary interior fool you because this place is 100% authentic and the friendly (and very Italian) crew are seriously passionate about their food. The Bellavista menu has also been given a bit of a makeover and includes a mix of Italian classics, fresh antipasti, and mouth-watering mains. If you ask us, you should start from the top and work your way down their antipasti menu. After trying the homemade prosciutto and mozzarella croquettes and the Peroni beer battered tiger prawns you will be checking your calendar to see how soon you can book your next dinner here. Even if you're craving pizza or pasta, the mains here are definitely worth a quick glance. The oven roasted Margaret River lamb rack with rosemary crust, roasted potatoes, baby carrots and rosemary jus will have you feeling like you're sitting in the Italian countryside, and if that doesn't get your taste buds tingling, the 12 hour slow cooked beef cheek with truffled mashed potatoes certainly will. Now, to the pizza. Their wood fired pizzas are prepared in front of your eyes and are perfectly crispy. The Boscaida with gorgonzola and mushrooms melts in your mouth while the Diavola with pepperoni capsicum and fresh chili is a must if you like things spicy. Gluten free pizza bases are also available, huzzuh! For the pasta fans, there are plenty of delicious pasta dishes and you can almost taste the love that is poured into these dishes. One of our favorites is the homemade Gnocchi al Formaggio with gorgonzola sauce and freshly grated grana Padano, because cheese. Now, one questions remain: Yes, they do have Tiramisu on the menu. Frida was only going to stay in Perth for three months to study graphic design, but a year later she’s still here with no intention of going back to chilly Sweden. When she’s not behind the computer adding pins to her Pinterest boards, you’ll find her out drinking long blacks and eating banana bread. She loves interiors and design and quite often gets caught adding more light chains and pennant banners to her balcony.